NEW! Now with Tec Temper! 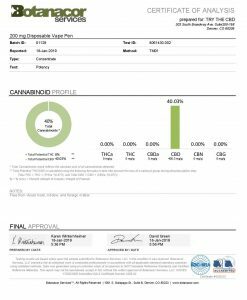 No PG, VG or MCT Oil! 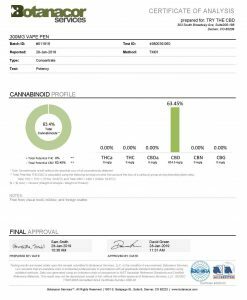 Pre-Filled CBD Vape Pen with High-Quality CBD mixed with Tec Temper. 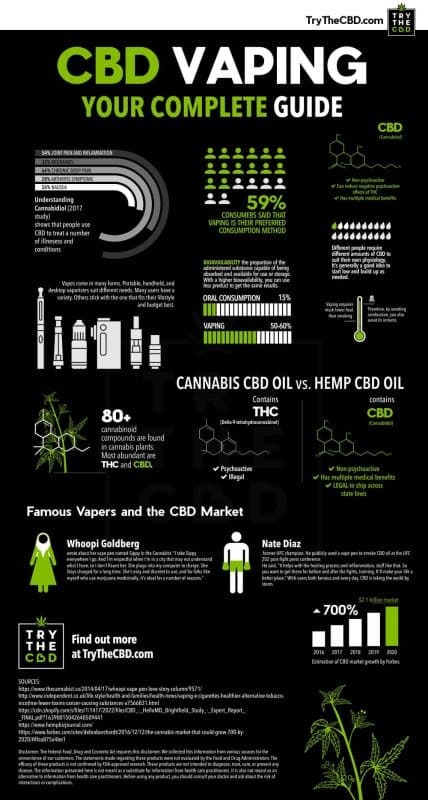 Vaping or ‘dabbing’ is the process of consuming CBD through a CBD vape pen. Studies prove that vaping is at least 95% safer than smoking. It combines portability and vapor into one. Brighten up your day with CBD vape pen which contains the maximum amount of CBD without any artificial flavors. Convenient for all your CBD needs. You can use it at any time. CBD Oil Disposable Vape Pen comes ready to use, no need to charge and is suitable for up to 50-100 puffs. 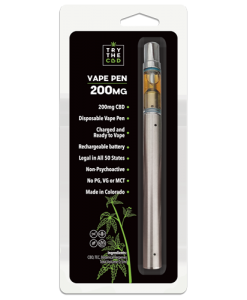 Buy CBD vape pens & Hemp Oil for vape from TryTheCBD.com.